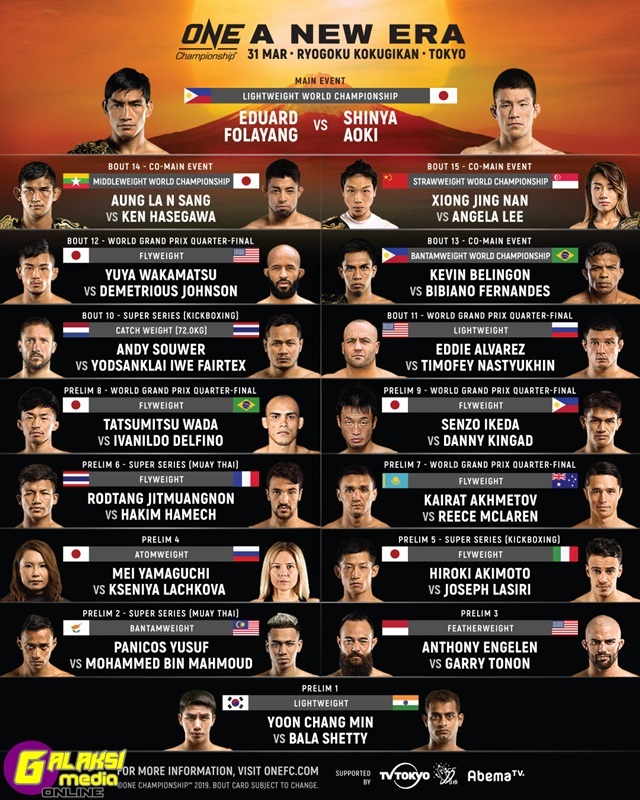 18 March 2019 – Tokyo, Japan: The largest global sports media property in Asian history, ONE Championship™ (ONE), has just announced that Andrew Leone of the United States has withdrawn from his ONE Flyweight World Grand Prix quarter-final bout against Danny “The King” Kingad of the Philippines at ONE: A NEW ERA. The event is set for 31 March at the iconic Ryogoku Kokugikan in Tokyo, Japan. As a result, Japanese veteran Senzo Ikeda will fill in for Leone to face Kingad. Tags: at, Danny Kingad, ON 31 MARCH, ONE Championship’s, ONE: A NEW ERA IN, SENZO IKEDA, STEPS IN TO FACE, TOKYO!